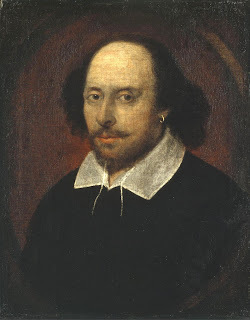 Shakespeare was a playwright who wrote some of England's greatest dramas. 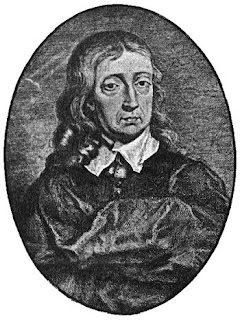 Milton was a poet who wrote what is disputably the greatest poem in English. But whose words had greater power? On Discussory Channel's Canonical Face-Off today, we'll see Shakespeare and Milton pitted against one another in a wild poetry slam to answer once and for all this overwhelming question. I can just envision the smackdown. It should definitely be exciting. If it's a "poetry" slam, Shakespeare better start writing poetry as soon as climbs out of his grave, because his body of "poetry" has been weighed and found wanting. Shakespeare is already rolling over in his grave, generating energy to take on Mr. Milton. What a choice! There are some weird opinions on the Milton list. Right there are . . . which is why I fit right in. How can either of them be the greatest, when none of them wrote about dinosaurs or spaceships?? Yes, and it's particularly mystifying that Milton fails to mention dinosaurs in his Edenic world. Quite an oversight. John Andrews: "Sociology of Jihad"